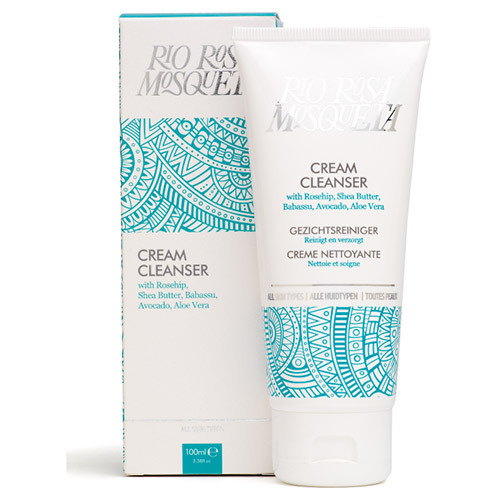 This plant-based cleanser gently cleanses and nourishes your skin, dissolving make up and removing dirt and excess oil. The cleanser is formulated with pure plant oils and active herbal extracts. Shea Butter, Avocado Oil and Babassu Butter maintain the moisture levels of the skin, whilst carefully selected plant extracts, such as Aloe Vera, Chamomile, and Horsetail leave your skin feeling refreshed and soothed. Aqua (Water), Helianthus Annuus (Sunflower) Seed Oil, Butyrospermum Parkii (Shea) Butter*, Cetearyl Alcohol (from coconut), Glyceryl Stearate, Octyldodecanol, Persea Gratissima (Avocado) Oil, Glycerin, Orbignya Oleifera (Babassu) Seed Oil, Sodium Stearoyl Glutamate, Rosa Rubiginosa (Rosa Mosqueta) Seed Oil*, Aloe Barbadensis (Aloe Vera) Leaf Juice*, Chamomilla Recutita (Chamomile) Flower Extract, Persea Gratissima (Avocado) Fruit Extract, Caprylyl Glycol, Equisetum Arvense (Horsetail), Xanthan Gum, Tocopherol, Tocopheryl Acetate, P-Anisic Acid, Lactic Acid, Sodium Lactate. Gently massage into damp skin, then rinse with warm water and a warm cloth or remove with cotton wool. Below are reviews of Rio Rosa Mosqueta Cream Cleanser - 100ml by bodykind customers. If you have tried this product we'd love to hear what you think so please leave a review. Excellent value for money. The cream is pleasant to use, washes off easily and removes all of my make up. A little goes a long way and I'm extremely pleased with it's cleansing properties, leaves the skin feeling clean and comfortable. Excellent product, incredible value for money too. The oil sinks into the skin without leaving an oily slick and the results are already noticeable. Rose oil is great for my sensitive skin and I will definitely be buying more in the future. Amazing!!! I hadn't come across this product before. I was bought some at Christmas and now I'm addicted. I can't imagine not using it in the shower in the mornings. I have bought myself a new tube and will definitely buy again.